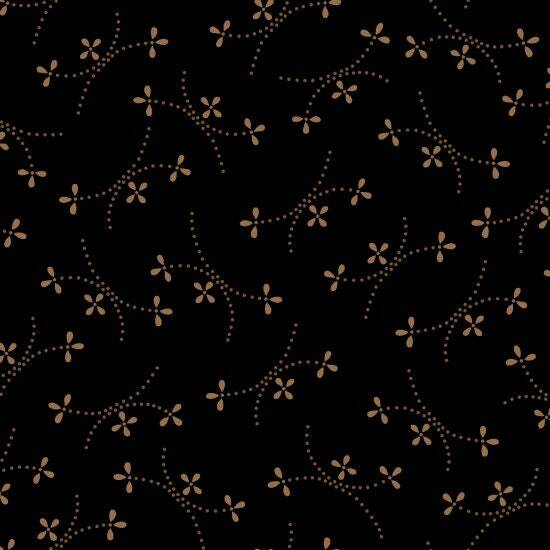 Kim Diehl and Henry Glass Fabrics have brought us a beautiful collection of blacks. They are used as the background fabrics in many of Kim Diehl's quilt patterns from her book Simple Harvest. I have used some of these blacks as a wide border with applique on top. I used a golden thread to quilt with and the results can be stunning.